After all of the documents are filed with the Superior Court and the guardianship has been approved by the court, the guardian has the same powers and responsibilities as a parent other than having to provide their own funds for support of the child. 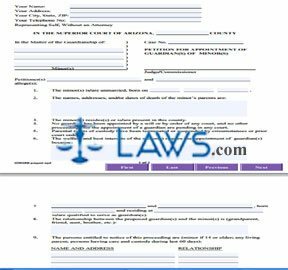 Make copies of the Letters of Guardianship to show to schools, doctors, etc. The guardianship remains valid even if the minor moves out of Arizona. Termination of the guardianship requires a court order, and the responsibility continues under the minor marries, dies, or reaches 18 years of age. The guardian must notify the court immediately if the minor’s address changes.